2014- Journée du DIM Analytics Ile de France - Risques liés à l’exposition aux perturbateurs endocriniens et autres contaminants de l’aliment : jusqu’où peut-on se reposer sur nos données analytiques ? Quel est le sens de la mesure dans société ? 13-17/06/2014- 74th scientific sessions of American Diabetes Association - Urinary bisphenol A-glucuronide (uBPA-G) and metabolic health at baseline in the French prospective cohort study D.E.S.I.R. 24-29/08/2014- 20th International Mass Spectrometry Conference - Untargeted analysis of reactive aldehydes produced by lipid peroxidation using selective derivatisation and detection by LC/HRMS. 15-19/06/2014- 62nd ASMS Conference on Mass Spectrometry and Allied Topics - Colorectal cancer promotion by the diet: towards non-targeted aldehydomics for trapping and analyzing reactive aldehydes in the intestinal lumen. 28/03-01/04/2014- 49th European Diabetes Epidemiology Group meeting - Urinary bisphenol A-glucuronide and incident type 2 diabetes in the French prospective cohort study D.E.S.I.R. 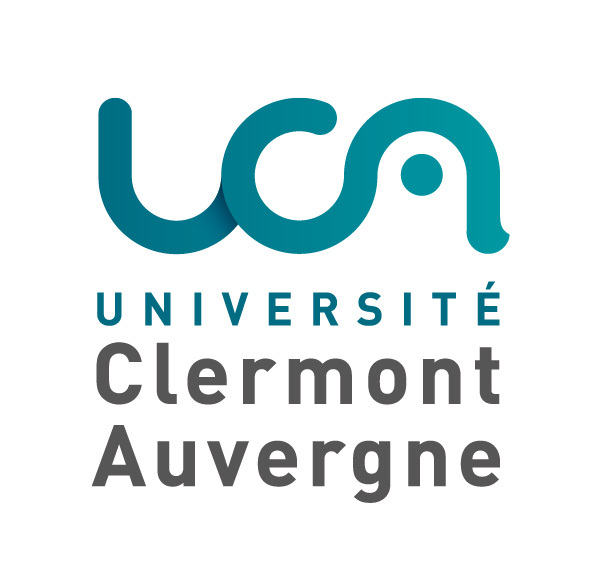 4-7/02/2014- Acetotryp workshop - "Sampling methods evaluation for T. brucei metabolome analysis by IC-MS/MS " et " Gluconeogenesis Part II – LC-MS/MS analyses "
2014- Congrès international « plasmodesmata meeting » - Lateral segregation of plasma membrane lipids across plasmodesmata cell boundary: a role for sterol in PD targeting? 19-21/11/2014 - MERLION METABOLOMICS WORKSHOP SINGAPORE 2014 - MetaboHUB and RFMF : two tools at the service of metabolomics and fluxomics in France. 19-21/11/2014 - MERLION METABOLOMICS WORKSHOP SINGAPORE 2014 - Triacyglycerols lipidomics: Application to plam oil. 19-21/11/2014 - MERLION METABOLOMICS WORKSHOP SINGAPORE 2014 - Metabolic network modelling and food toxicology. 12-16/10/2014 -Cucurbitacea Conference - Development of recombinant sub-NILs containing smaller introgressions of QTL SC5-1 determined to be involved in the accumulation of sugar via MAS and high throughput SNP genotyping. 10-16/09/2014 - Metabomeeting - MetExplore 2.0: handling genome scale metabolic networks online. 23-26/06/2014- 10th International Conference of the Metabolomics Society - nmrML: an XML-based open standard for NMR data storage and exchange. 24-26/06/ 2014 - 7th International Rosaceae Genomics Conference - Metabolomic analyses in sweet cherry. 22-26/06/2014 - EPSO Workshop - Hit-Me: high throughput metabolic phenotyping in PHENOME. 13-17/06/2014 - 74th scientific sessions of American Diabetes Association - Urinary bisphenol A-glucuronide (uBPA-G) and metabolic health at baseline in the French prospective cohort study D.E.S.I.R. 15-19/06/2014 - 62nd ASMS Conference on Mass Spectrometry and Allied Topics - Colorectal cancer promotion by the diet: towards non-targeted aldehydomics for trapping and analyzing reactive aldehydes in the intestinal lumen. 20-23/05/2014 - Conference on Constraint-Based Reconstruction and Analysis - Coputational reconstruction of human hepatocyte functional metabolic network based on transcriptomic data. 19-21/05/2014 - 8èmes journées du Réseau Français de Métabolomique et Fluxomique - Combining metabolite and enzymatic profiling during tomato fruit development. 19-21/05/2014 - 8èmes journées du Réseau Français de Métabolomique et Fluxomique - Metabolomic analysis by constraint random walk in genome-scale metabolic networks, application to Kearns and CAFSA syndroms. 08/04/2014 - Journée du DIM Analytics Ile de France - Risques liés à l’exposition aux perturbateurs endocriniens et autres contaminants de l’aliment : jusqu’où peut-on se reposer sur nos données analytiques ? Quel est le sens de la mesure dans société ? 28/03-1/04/2014 - 49th European Diabetes Epidemiology Group meeting - Urinary bisphenol A-glucuronide and incident type 2 diabetes in the French prospective cohort study D.E.S.I.R. 29-31/01/2014 - 7 èmes Assises de Génétique Humaine et Médicale - Poster "Rhabdomyolyse par déficit en Lipin1 : découverte d’une voie physiopathologique impliquant la surexpression d’ACACB et démonstration du rôle majeur des cytokines pro-inflammatoires"
6-9/01/2014 - Assises du Département Alimentation Humaine (INRA) - "Métabolomique, nutrition et recherche clinique : du concept à al philosophie de la démarche"
6-9/01/2014 - Assises du Département Alimentation Humaine (INRA) - Poster "Reversion of muscle lipotoxicity by LC n-3 PUFAs"
6-9/01/2014 - Assises du Département Alimentation Humaine (INRA) - Poster "Aldehydomic : comment repérer les aldéhydes impliqués dans le cancer colorectal"